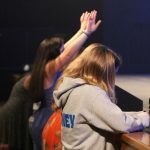 High Point has been equipping young people with a Biblical Worldview for over 12 years and we have received countless stories of Christian young people returning home with a new vision for sharing that vision with others. In this session, Youth Pastor Sarah Barnett reveals how God Himself created all human life, therefore all people have intrinsic value. This session will discuss how our culture is devaluing life and what we must to do to defend the God-given right to life. Are you a Biblically based Christian? Statistics reveal that 4 out of 5 Americans claim to be Christian, but only 9% have a Biblical worldview. 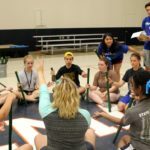 In this session, Camp Administrator David Pate will challenge your thinking and cause young leaders to see the importance of having a Biblical worldview. How do we respond to an opposing culture that has different views and belief systems? 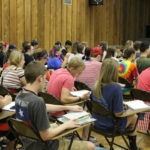 In this session, Camp Administrator David Pate will instruct young leaders on how to respond to a lost world with truth and love. There are two types of people, those who have money and those who don’t. In this session, Leaders Academy Administrator Paul Kern will teach leaders to understand money, its purpose, and being a steward over it. This session will teach what the scripture says about saving, tithing, investing and much more. Everyone has leadership potential. In these sessions, Youth Pastor Josh Barnett will motivate leaders to embrace their God-given call to be a leader. The resurrection of Jesus Christ was either the most important historical event in human history or it was the biggest hoax ever accomplished in human history. In this session, Leaders Academy Administrator Paul Kern reveals crucial and compelling evidence that supports the bodily resurrection of Jesus Christ. In this session, Youth Pastor Josh Barnett will teach leaders the importance of sexual purity and godly relationships. Culture tells us today that the Biblical pattern is outed, but Josh examines the outcomes of pursuing God’s way. In this session, leaders will discover the rich Christian heritage of this great nation. Tim Barton, son of David Barton, the founder of WallBuilders.com, makes the history of America’s founders come alive! 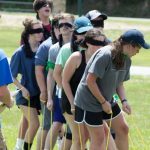 Campers will be challenged and amazed to discover the deep Christian roots of the founding fathers. In our culture authority is often despised and seen as an enemy rather than a God ordained system of blessings and influence. In this session, Josh Barnett reveals the blessings that are available to those that humble themselves and submit themselves to the authority God has placed in their lives. In this session, Camp Administrator David Pate challenges the current truth debate in culture. Culture has popularized the concept that we can all pursue whatever truth gives us meaning but upon closer examination we will discover the many holes in this concept. What is Truth & who decides truth? Is truth optional, relative, or made up? Are age, race, gender, and height determined by the individual or is there a standard that we all have to submit to. What happens when 2 people disagree? Who is right, and is it possible to be right? Music and media have played a key role in all cultures for all times. These are powerful mediums that have influenced the thinking of countless generations. 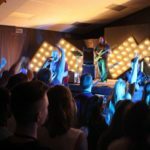 In this session, Camp Administrator David Pate reveals the powerful influence of music and movies on your moods, emotions and most importantly your worldview. Many young adults today have a negative view of becoming an adult. They have heard and seen far too many adults complaining about their current circumstances. In this session, Leaders Academy Administrator Paul Kern will reveal the many benefits of maturing and taking on more responsibility. Becoming an adult is an exciting season of life that every young person should desire and pursue. For many people it is hard to understand how God can be good and all powerful because of the evil and suffering that are in our world. In this session, Leaders Academy Administrator Paul Kern will tackle this tough question and provide leaders with answers that make sense. Homosexuality is a growing trend in America. The sin of homosexuality has been the downfall of nations. In this session, Youth Pastor Sarah Barnett will teach leaders the danger of this destructive sin, but he will also reveal the heart of God for those trapped in its hold. God brought Adam and Eve together at the dawn of time. However, since that union, there have been many misconceptions and misunderstandings about the purpose of relationships between the opposite sexes. In this funny and animated session, Josh Barnett explores the importance of making the right choice in romantic relationships and when leaders are ready for this important step in their lives. Our world is full of many deceptive and counterfeit religions. In this sessions, Instructor Melisa Glenn reveals many of the most popular false religions and equips young leaders to recognize the deceptive teachings that they employ. Social media influences all of our lives and plays a significant role in how we interact with other people and view life. In this session, Instructor Mekinsey Berryhill will discuss the role of social media in our everyday lives and the pitfalls that must avoided. In this session, Tim Barton, son of David Barton, the founder of WallBuilders.com, discusses the dangers and deceptions of fake news. Leaders will be made aware of this trend and shown how to spot fake news when they see. Leaders will also be given credible sources for reliable news. In this session, Tim Barton, son of David Barton, the founder of WallBuilders.com, discusses the dangers and deceptions of fake history. Leaders will be made aware of the dangerous of rewriting history in our school text books and in online media. 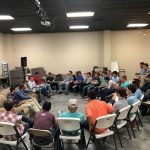 In this final session, Tim Barton, son of David Barton, the founder of WallBuilders.com, and Camp Administrator David Pate challenge leaders to live out the Christianity and allow God to use them as difference makers with their culture.